DISCLAIMER: The following information is supplemental to OSHA 29 CFR 1926 Subpart CC – Cranes and Derricks in Construction and in particular CFR 1926.1403 and 1926.1412. Erecting a lattice boom crane is a lengthy and complex process. It can last for days. In order to get it done, you need a team of skilled heavy equipment professionals and even additional cranes. 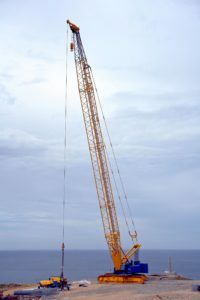 Lattice boom cranes tend to emphasize the “heavy” in heavy equipment, typically weighing several hundred tons. As you might guess, its individual components are also heavy, which amps up the danger when it comes to putting them together. Mistakes are not only financially costly, but there is heightened potential for serious injuries and even fatalities. The start-to-finish process of assembling a lattice boom crane is a lengthy process, one whose step-by-step instructions exceed the length of a single blog post. It’s also a technique that is more thoroughly taught in trade schools that offer lattice boom crane programs. Instead, let’s take a look at a few tips you can stow away for your first lattice boom erection to help ensure nothing goes awry during the process. Check each of the components of the crane for any signs of damage or defects before you and your team begin erecting the lattice boom crane. If a part of the crane doesn’t look like it should, that can cause problems during later steps of assembly or, worse, during use. Replace any parts that do not meet the standards required for operation. This might be something not everyone likes to hear or admit, but the manufacturers of the cranes know a thing or two that might be useful when assembling one of their products. Even heavy equipment workers who have experience constructing cranes should look at the manual just to double-check everything is going as it should. Doing so will cut down on the potential for mishaps throughout the process. Just like other tasks related to construction- and heavy equipment, donning the proper safety gear is of the utmost importance. You should be equipped with a hard hat, work boots and other safety equipment typical of construction zones. Erecting a lattice boom crane is among the most dangerous tasks in the construction industry, so every line of defense helps in mitigating the severity of worksite injuries. As we mentioned in the opening, putting a lattice boom crane together takes time, usually days. It’s not something that can be rushed or sped up. Otherwise, there’s a higher risk of making mistakes, such as missing a component, or not doing as thorough of a job as is necessary. Erecting a lattice boom crane also requires teamwork, so it’s necessary to have patience not only with the process but with those with whom you’re working as well. With these tips, you can more effectively and safely be part of a team that erects a lattice boom crane. Does the prospect of working with lattice boom cranes excite you? If you answered yes, your next step on the tread-marked path to living your professional dream is finding the training program that’s best for you. In many cases, that best choice is HEC. 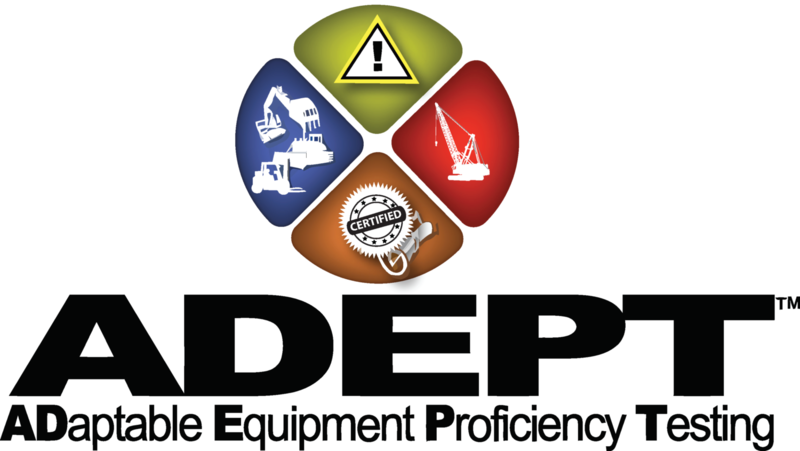 Heavy Equipment Colleges of America (HEC) is one of America’s finest heavy equipment schools. 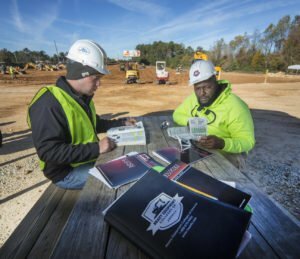 At HEC, we teach students the essentials of heavy machine operation and prepare them for meaningful work in the field after graduation. In addition, we offer lattice boom crane programs and mobile crane operation to complement our programs at six campuses across the country.